Amigos de Safe Passage Soccer Game! 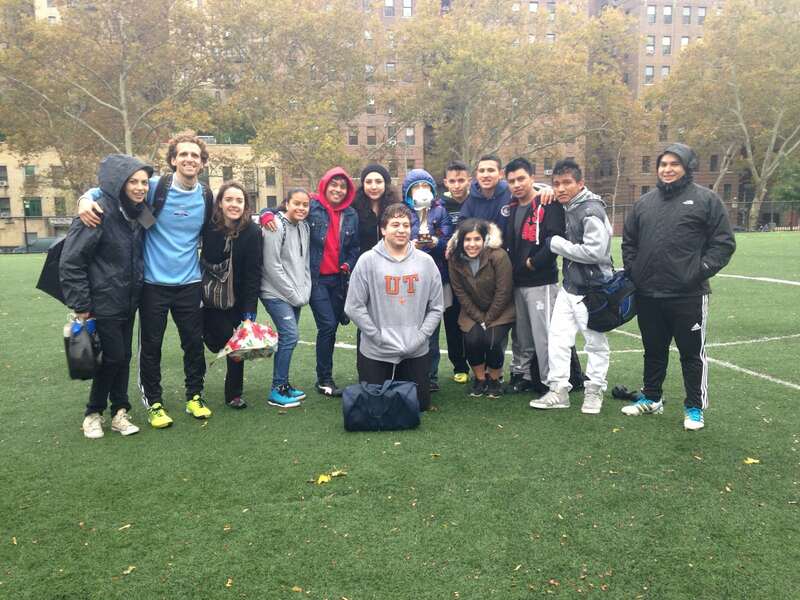 This past Saturday the staff of the Safe Passage Project met in Mullaly Park in the Bronx for a soccer game with former and current clients. The game was an opportunity for the kids to play a sport they all love, and to meet and bond with other immigrant kids who have been through similar experiences. Despite horrific weather, all the kids had a blast and we even got some of the staff (Gui, Juan, and Daniela) involved in the fun. We hope our soccer team continues to grow!